Edwin Sakala leader of the opposition ZDDM now says the ruling PF must facilitate the dialogue with UPND. Sakala who is a stooge supporter of President Edgar Lungu and was in forefront of discrediting the Commonwealth spearheading the talks says the organisation should not be the one to lead in the talks. President Lungu also yesterday made it clear that they will be no dialogue if Commonwealth is the one to lead the talks. But Hakainde Hichilema says there must be no condition set for the dialogue. Sakala, the brother to Richard Sakala of the Daily Nation said this in a press statement below to Zambian Eye. As a party which wrote a letter to the Queen mother as Head of the Commonwealth and openly injected the idea of the Commonwealth spearheading the interparty dialogue meeting in Zambia we are grateful that the Commonwealth found it necessary to send someone to explain the reasons why they could not leave the dialogue process to the ZCID. Our party understood the problem that the Commonwealth have with the current ZCID board and we believe that the ruling party Secretariat should be in the forefront in organizing the interparty dialogue meeting as it was in the past before the formation of ZCID. 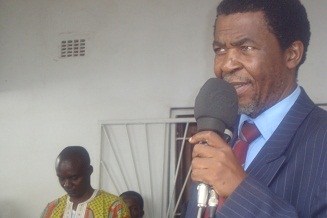 The PF Secretariat must identify the prominent Zambians to co- Chair the meeting. This is how the Interparty meetings were organised before the formation of the ZCID. We agree with the Commonwealth that the composition of the ZCID may not be able to handle the task because most of them are new in politics and have no experience. We thank the Commonwealth for helping us understand the problem they have in allowing the ZCID to spearhead the interparty party dialogue meeting. As ZDDM we however maintain our stand that the Commonwealth should not interfere in Zambian politics. PFand ECLhave never been for dialogue.I remember some time back ECL should to say:”what dialogue,they must give me the agenda first; what is it that they want to talk about?” Is it not true that the guilty are afraid? What do you expect from the clan of plunderers? I do agree with Sakala zambia is a peaceful nation friendly people who can dialogue among themselves, than call people from violent nations to come and be referees on their simple issues which they can easly work out. The ZCID ia obviously compromised by the pf. Now a one man party president says the PF secre4tariate must be the one to spearhead the reconciliation process. What stupidity is this? Zambian people already know that the pf are guilty. the reconciliation process. They should be able to continue. Utter foolishness from an unwise man! Its no wonder he is a one man party.